The city of Flint, Michigan has four very large medical centers: Hurley Medical Center, McLaren Regional Medical Center, St. Joseph’s Hospital, and Flint Osteopathic Hospital. These hospitals have become part of the Genesys Health System, which is comprised of Genesys East Flint Campus and Genesys West Flint Campus, with Genesys Regional Medical Center at the Health Park located in Grand Blanc Township. Given its expansive medical system, it is no wonder that Flint has some amazing institutions that provide comprehensive treatments and therapies for children with cerebral palsy. The Children’s Rehabilitation Center at Hurley Medical Center has many specialized programs to help kids with cerebral palsy, including neuromuscular electrical stimulation and partial weight-bearing treadmill training. All programs are individualized and age-specific, and they incorporate classes to help the children’s families understand and be able to work with conditions associated with cerebral palsy. If you are a parent of a child with cerebral palsy in the Flint area, then you’re already aware of the many difficulties encountered on a day to day basis with this condition. You know how ordinary activities can be difficult and sometimes even impossible. And the costs associated with hospital visits, therapy, adaptive technology and other treatments can total many thousands of dollars each year. Something that many parents don’t know, though, is that a lot of cases of cerebral palsy and other birth injuries could have been avoided. Often, CP and birth injuries are a result of errors by doctors, nurses or other medical professionals during pregnancy, labor or delivery. Medical errors can range from a failure to diagnose and treat maternal infection, a failure to adequately monitor a baby during labor, incorrect use of delivery instruments such as forceps or vacuum extractors, or even a failure to perform a timely c-section. Often, birth injuries occur when medical professionals mishandle complications that occur during labor and delivery. Unfortunately, mistakes can be made by even the most highly skilled physicians at the best hospitals. So whether your child was born at Hurley, McClaren, Genesys, Memorial Healthcare or another birthing facility, you deserve to know exactly what happened and if negligence played a role in your child’s cerebral palsy. The nationally recognized Flint, Owosso and Burton, Michigan birth injury attorneys at Reiter & Walsh ABC Law Centers have been helping children with birth injuries throughout the nation for over two decades. 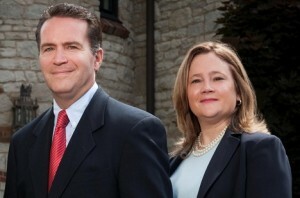 Jesse Reiter, the firm’s co-founder, has been focusing on birth injury cases his entire 28+ year career. Jesse helps children all over the country, and when he takes a case, he spends a lot of time getting to know the child and family he is helping so he can fully understand the child’s needs. Jesse has won many awards for his advocacy of children, and he is currently recognized as being one of the best medical malpractice lawyers in America by U.S. News and World Report 2015, as well as one of the 10 Best Attorneys in Michigan by Super Lawyers magazine. Jesse and his team are passionate about helping children obtain all the support, therapy and treatment they need so they have a good quality of life and a secure future. Jesse and his team of Flint, Owosso and Burton, Michigan birth injury attorneys will carefully review all medical records to determine if negligence occurred. Once Jesse sees medical malpractice, he aggressively fights to obtain compensation for lifelong care and support of the child, which typically includes treatment, medical devices, housing and education. Birth injury law is a difficult area of law to pursue due to the complex nature of the medical records. The nationally recognized Flint, Owosso and Burton, Michigan birth injury attorneys at Reiter & Walsh ABC Law Centers have decades of experience with cerebral palsy cases, and have won numerous awards for their advocacy of children. To find out if you have a case, contact our firm to speak with an experienced attorney. We handle cases in Michigan, Ohio, Washington, D.C. and throughout the nation. We have numerous multi-million dollar verdicts and settlements that attest to our success, and no fees are ever paid to our firm until we win your case. Email or call our Flint, Owosso and Burton, Michigan birth injury attorneys at 888-419-2229.